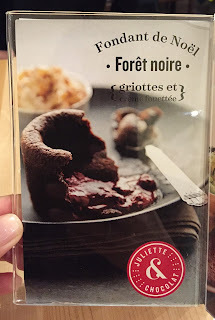 It's one of the display on the table, and it's called "Fondant de Noël Forêt Noire." 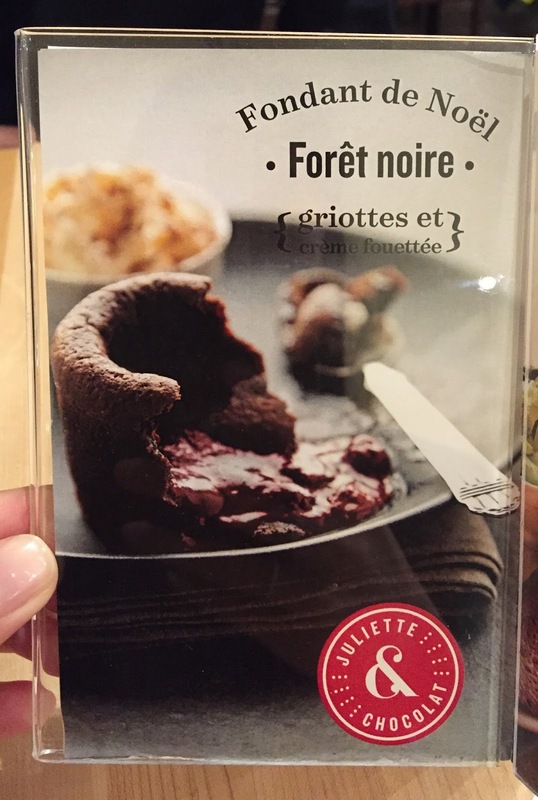 It's a chocolate lava cake called "Black Forest" and it comes with "griottoes et crème fouettée," that is morello cherry and whipped cream. 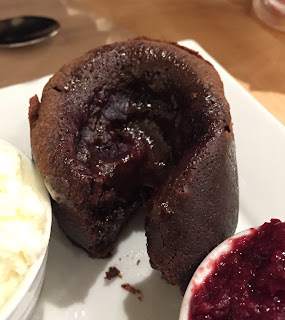 When I saw the image, I thought the morello cherries were in the lava cake, but there's cup of cherry compote. Lava cake was soft and melted chocolate flooded out. Morello cherry was sour and rich in flavor, and the taste was as strong as the chocolate. Whipped cream was lightly sweetened and airy. 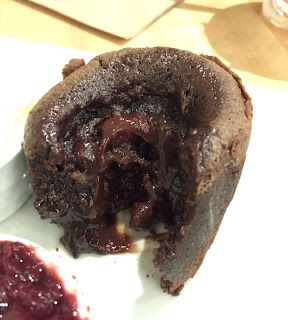 Other Juliette et Chocolat reviews.